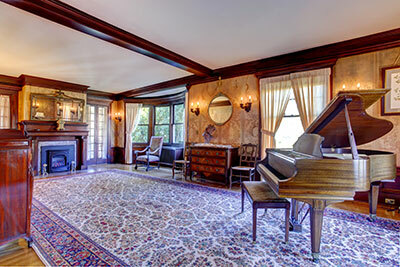 Comparing one type of rug repair to another is difficult – it's fair to say that every skillful application of repairs is hard in its own right and takes an expert's hand to pull off without issues. Yet if we had to pick one that's most often the biggest challenge, fringe repairs would take the cake. ​Fringes are the most vulnerable part of any rug and therefore the hardest to repair – every wrong move can cause further damage, and the margin of error is much smaller than when working on other parts of the carpet. Likewise, whenever you're repairing a rug, the same rule holds universally true: the more fabric you have to work with, the better. Compared to other parts of the rug, even the densest row of fringes is scarce, making fringe repairs not unlike working on a miniature model. Of course, that's not to say we don't enjoy fringe repairs or that we consider the task too hard. In fact, constantly challenging ourselves with difficult and unusual jobs is what made us so good at what we do, so we're grateful for every opportunity to gently tackle damaged fringes and bring them back to mint condition. The exact method of fringe repair will vary based on the severity of the damage. If the fringes are merely frayed, 'simple' reweaving should do the trick – our technicians are expert weavers and can handle even the most miniscule patterns of fabric without issue. If fringes became separated, we'll have to knot them back together using the original technique – again, our team's expertise will help reattach the fringes through the same method that was used to place them on the carpet the first time around. But not all fringe repair jobs are as straightforward: sometimes, the fringes we work with have holes, tears, discoloration, burns or are only partially missing. Here, our repairmen will need to make full use of their ability to repair fabric on a near-microscopic level – in cases like these, long hours might need to be put into repairing the fringes perfectly and seamlessly. Needless to say, we perform the bulk of our fringe repairs using hands and hand tools – while machines have their use, the best fringe repairs are done by mimicking the original weaving technique rather than putting the area rug through a mechanized ordeal. 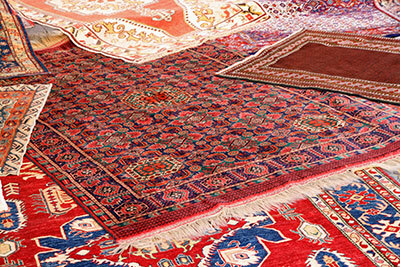 Our aptitude at repairing fringes by hand also makes us the ideal choice for fringe repairs on the most complicated area rugs: antiques, exquisite Oriental pieces, complex Persian designs and so forth. It's worth noting that, in rare scenarios, we might need to order threads or fabric by mail in order to perform seamless repairs on true exotic pieces – if you'd like to save time and effort, it's best to call us and explain your area rug's origin, materials and issues in detail to our representative. In most cases, the person at the other end of the line will be able to tell you whether the repairs can be performed right away or if we'll need to contact our supplier to get the exact materials needed for a perfect job that guarantees your absolute satisfaction.